That’s one way to do it, I suppose. Attorney General Ken Paxton is looking to get ahead of an anticipated barrage of legal challenges to Texas’ ban on “sanctuary cities,” which takes effect Sept. 1. Shortly after Gov. Greg Abbott signed Senate Bill 4 into law on Sunday, Paxton filed a lawsuit — known as a complaint for declaratory judgment — asking a federal court to declare the law constitutional. The lawsuit specifically wants the U.S. District Court for the Western District of Texas to rule the law does not violate the 14th or 15th amendments to the U.S. Constitution and is not preempted by federal law. 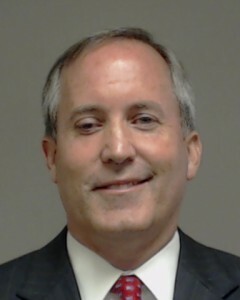 “SB 4 is constitutional, lawful and a vital step in securing our borders,” Paxton said in a statement. The lawsuit was filed against the government and elected officials in Travis County, which has been a battleground in Texas Republicans’ push to crack down on criminal suspects living in the United States illegally. The county’s sheriff, Sally Hernandez, drew Abbott’s ire earlier this year when she announced that her department would reduce its cooperation with federal immigration authorities. You can find a copy of the lawsuit here, which according to KVUE was filed “to avoid a multiplicity of suits in various forms” questioning the constitutionality of the law from the defendants, which include Travis County Sheriff Sally Hernandez, the City of Austin, Austin City Council Member Greg Casar, Austin Mayor Steve Adler and a host of other people affiliated with Travis County. I’ve never heard of this strategy before and I have no idea what its history is, but I’d bet a dollar that Paxton picked the court in which he filed this suit with some care. I’m quite certain it won’t stop anyone from suing, but beyond that I have no idea what might happen. This is going to be a bumpy ride. This is forum-shopping at its finest. But I’m not sure it actually works in this case. Under Article III of the Constitution, there has to be an actual “case or controversy” to be resolved for the federal court to have subject-matter jurisdiction. Paxton’s lawsuit says basically that (1) the Defendants might sue about SB4 and (2) the Defendants are “openly hostile to Texas law.” I don’t think the first is enough to establish jurisdiction, and the second is ridiculous, since the law was just passed and there’s been no time for it to be implemented. I’m no lawyer, but certainly most Texas legislators are – wouldn’t it have been a good idea to research whether or not the Bill you’re fixing to pass doesn’t violate the Constitution BEFORE you go down the road…?